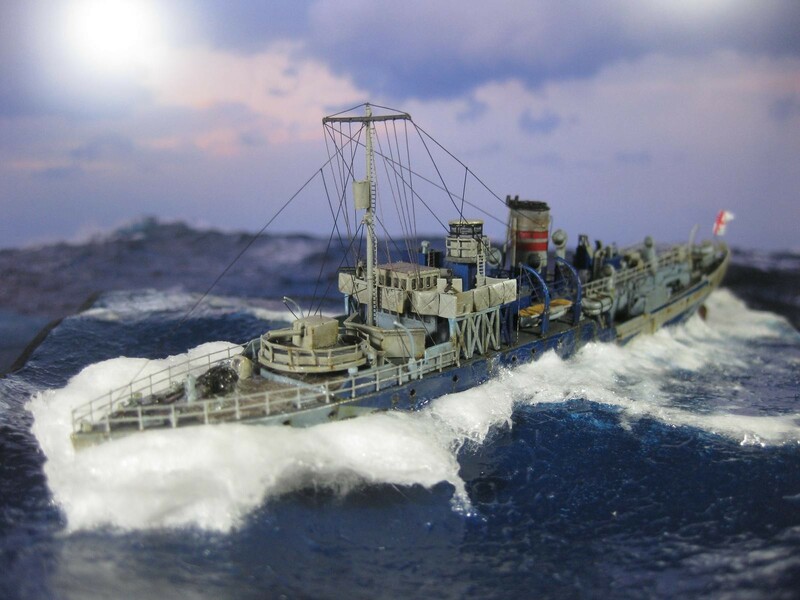 Nikos, A great way to present an excellent looking model. Your water work looks very realistic, and it really adds a lot to the overall realism. I like this very much ! Excellent dio. Awesome water texture and weathering! Beautifully done, Nikos. 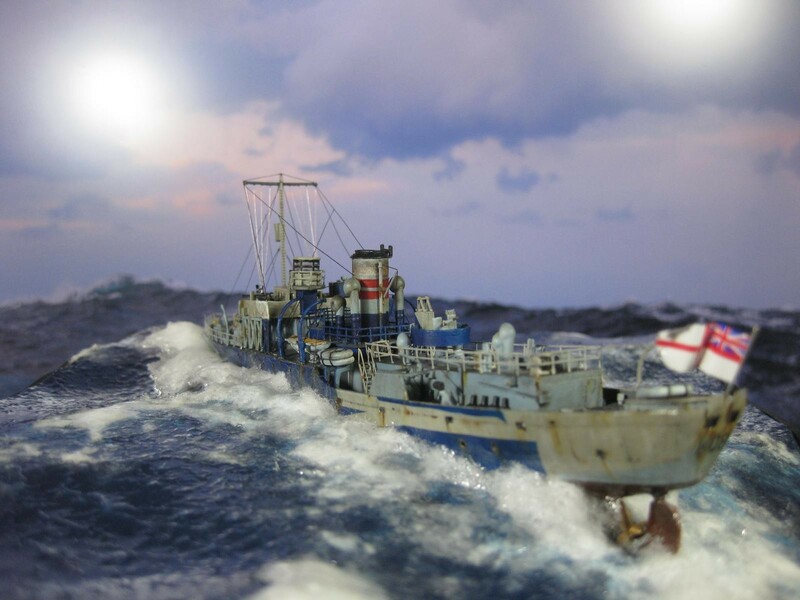 It looks VERY real – it almost makes a person seasick! 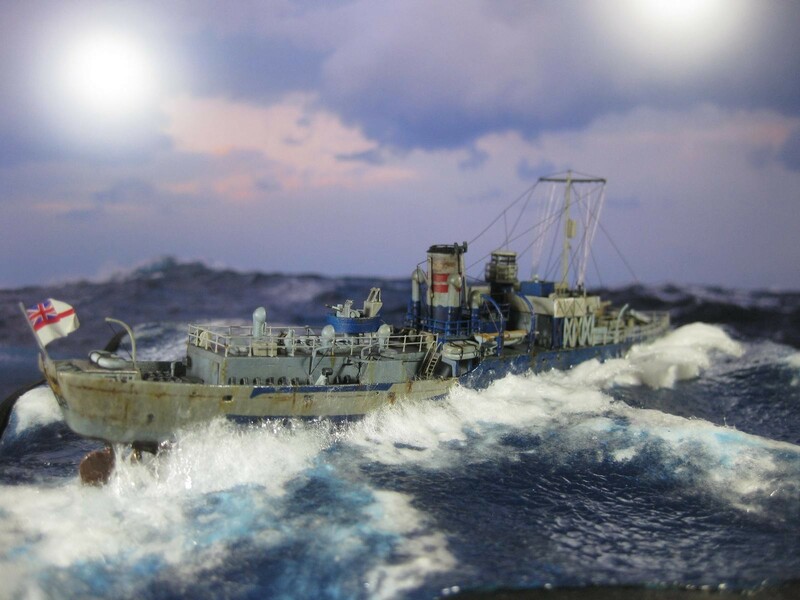 The ship looks very nice but the rough sea is just amazingly realistc. Bravo! Great looking model, and well presented too. Superb Nikos ! A great sense of the weather! 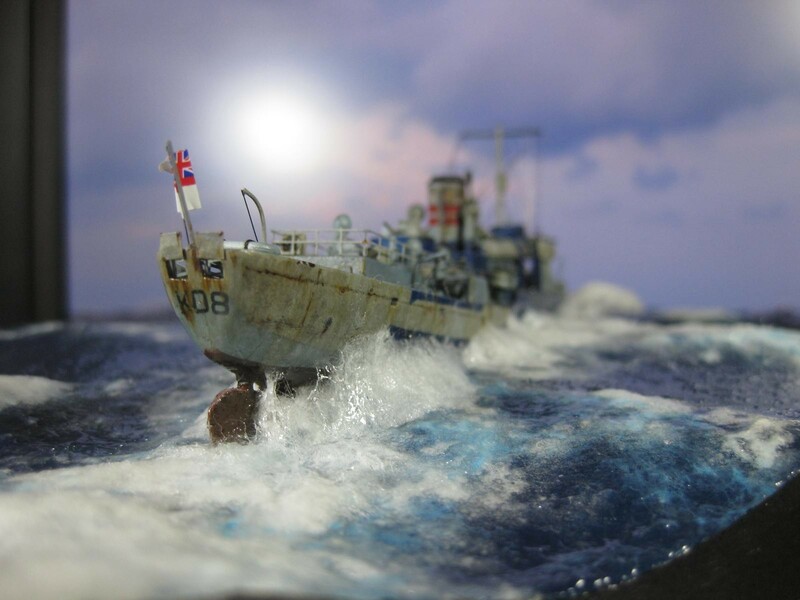 That’s wonderfully stormy, interesting model & nice photos, welcome onboard at iModeler! Fantastic job , well done. 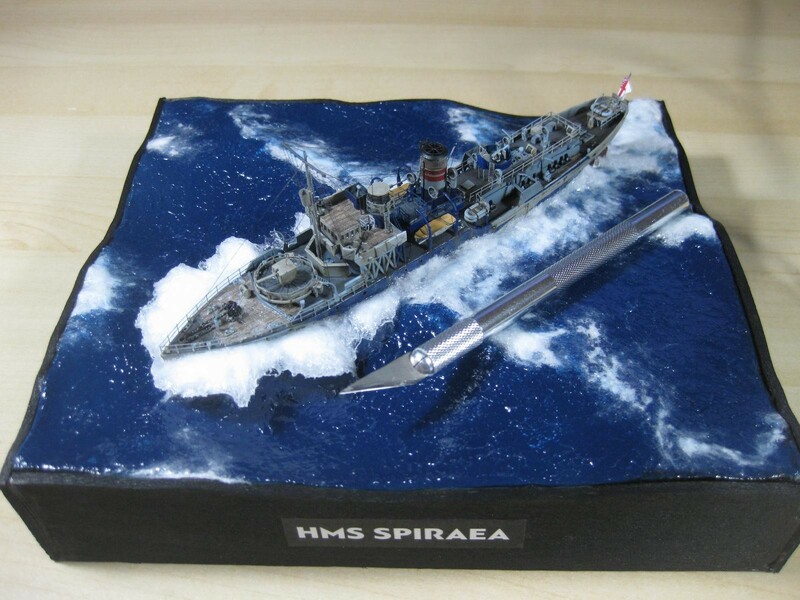 Thanks for sharing this excellent diorama with us. The picture with the scalpel next to it did it for me. That shows the work space that has been involved. What a beauty! Usually see ship dios in relatively calm seas, but seeing a corvette in some significant chop really lends excitement to the whole thing. 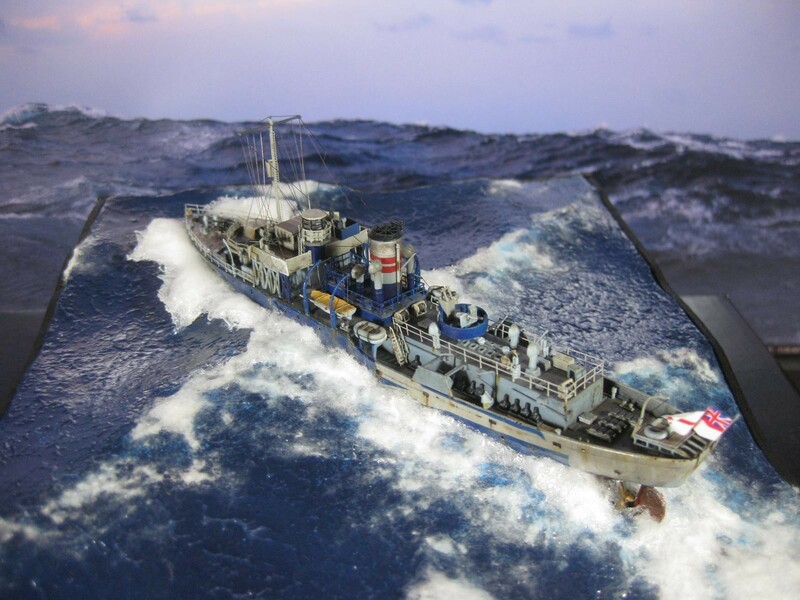 And not to overlook the excellent work on the ship itself – great realism. Last but not least, your photography with the background is just perfect. Excellent all the way around. You made me seasick looking at the photos! Very good work here and welcome. Thanks a lot everyone! I really appreciate it coming from a very talented group! More to come! Well done! A real gem. You know you have a great model when you can go tight in with the camera with no fear. This is a beautiful piece of work and like Dirk, the photo with the exact knife was the money shot for me. This is the WIP link from the greek modelclub.gr forum if anyone is interested.The text is greek but you get the gist from the photos.